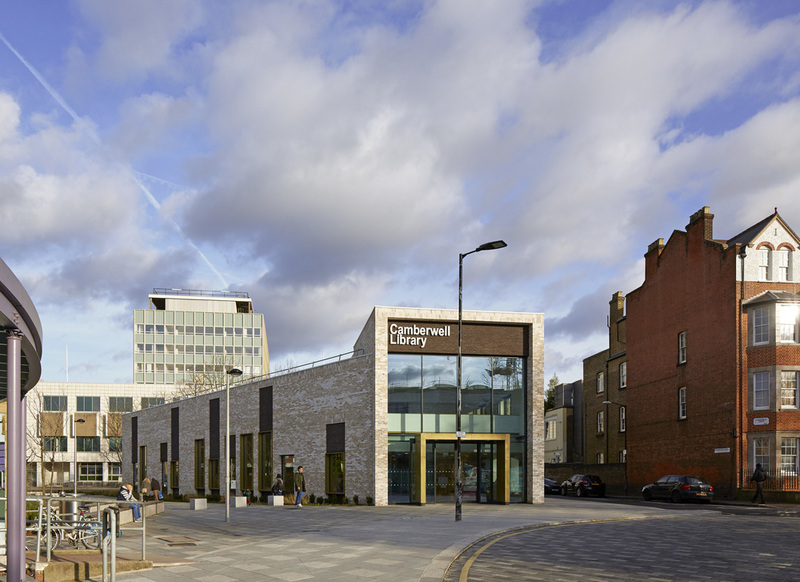 John McAslan + Partners win a commendation for Camberwell Library, with London Borough of Southwark at the 2016 NLAwards. Entered under the Culture and Community category the completed project occupies previously vacant council land adjacent to Camberwell Green and Camberwell Magistrates Court. With three distinct elements: the library entrance space, the ‘pedestrian spine’ and the Magistrates Court forecourt; the building offers different library areas on the ground floor including a children’s and young persons zone with seating and places to read. The mezzanine level serves as a quiet study area, along with the staff facilities. Also located on the first floor are meeting rooms for use by local community groups with views out over Camberwell Green.